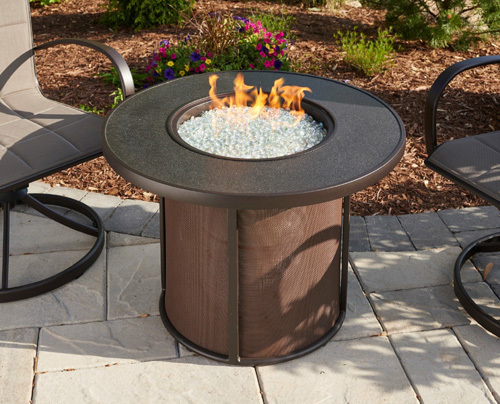 “Little but packs a punch” this 32″ round gas fire pit comes with 60,000 BTU burner, glass crystal and push button start. Comes in a coffee brown. Runs off of natural gas or 20 lbs propane tank.